Kobe Bryant is as polarizing as they come, a player made for the spotlight, a player that created a cult like following fan base. The percentages can be analyzed a million times and people will still draw completely different conclusions. The fans love the big numbers he put up, the five Championships he helped bring home, and the true alpha dog personality so rarely found in any sport. For myself, the Mamba’s greatest qualities will always be his work ethic, his will to win, his fearlessness with the game on the line. Some people believe Bryant doesn’t deserve the one MVP award he owns, some believe that he deserves two or three more. We can debate that on twitter, but the fact is he won one, and was in the top five voting on 11 other occasions. His longevity is stifling. His resume, track record, and ferocious personality kept him in the league’s elite class for a ridiculously long time. Bryant is currently third all time in scoring, chasing only Kareem Abdul-Jabbar and Karl Malone for the top honour. 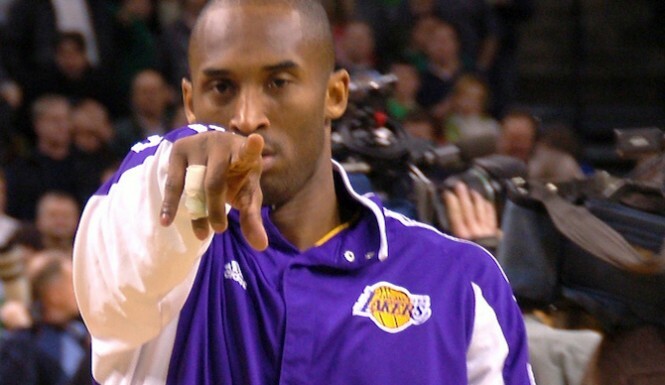 Bryant despite often being criticized as a selfish player also sits 30th all time in assists. The 2015-16 season may be the last hurrah of the Mamba; love him or hate him, we all know he has your attention. The Flag Bearer: Shane Young (4). The Barn Burner: Jacob Noble (14). How did the other guys rank Bryant: Robert Littal (6), Marc Griffin (6), Will Reeve (6), Matt Drappel (8), Brian Geltzeiler (8), Justin Rowan (9), Justin Termine (9), Lang Greene (9), Josh Eberley (10), Justin Salkin (10), Adi Joseph (13), and James Holas (13). Great read, except Karl Malone is second all time in scoring, not Kobe.